To those two people that read this, sorry for the gap of no posts. 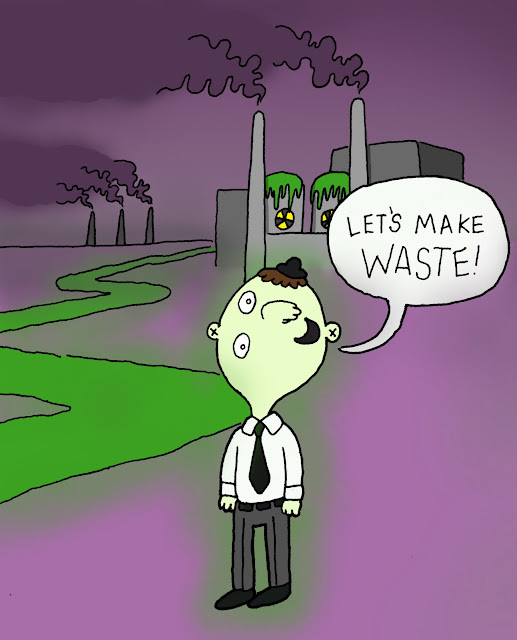 I've been working on developing my "fall-out city" cartoon that I introduced in my last post. This is Tater, drawn up in Illustrator. He works at a waste plant. They make waste. Energy is just the side effect. Makes you wonder what the rest of their city looks like.